Part of what we love about our pets is their determination to live life to the fullest. Pets are an important part of our lives. They are our companions, guardians, and best friends. Just like any loved one, they need wellness care, have unexpected accidents, and suffer from illnesses. Pet insurance policies help pay for planned and unexpected veterinary visits such as wellness examinations, preventive care, treatments, surgeries, lab fees, x-rays, and much more. 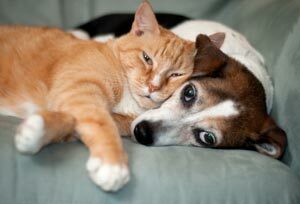 Pet insurance may provide peace of mind, knowing you may care for your pet no matter what the cost. Every stage of your pet's life presents different health challenges and concerns. 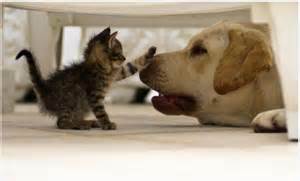 Puppies and kittens need vaccinations, adult pets of all types need preventive care, and mature pets can face any number of age-related problems. Ongoing and unexpected veterinary treatments for your pet can quickly add up and become a financial burden. That's why pet health insurance provides coverage for accidents, illnesses, prescriptions, surgeries, hospitalization, and more. Pet health insurance policies are similar to human insurance policies - annual premiums, deductibles, and different coverage plans based on what you choose. Plans are based on species, age, pre-exisitng conditions, and, in some cases, lifestyle of the pet (i.e.indoor vs. outdoor cat). Most companies start policies at age 6 - 8 weeks. Some have no age limit. The current overall average for annual deductibles ranges from $100 to $300. Policy costs vary widely, depending on the animal and the different packages that are chosen. Some packages are comprehensive, including such things as: annual checkups and vaccinations, routine care, preventive medications, and spay/neuter surgeries. Other plans cover only accidents and illness. Most plans offer immediate coverage for accident claims, and 30 days for illness claims on new policies. 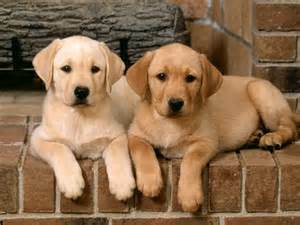 Additional pets are usually covered at a reduced rate after the first policy-holding pet. Regarding pre-exisitng conditions, some companies will allow coverage if the animal is stable or controlled (usually after a waiting period of 6 months), other companies will refuse animals with current conditions and/or terminal disease. 1. See any licensed veterinarians or specialists worldwide. 2. Have an authorized veterinary staff member list the diagnosis and sign it. 3. Complete the form, sign and mail the claim form accompanied by the original veterinary invoice to your insurance claim address. The list below does not constitute an endorsement or recommendation from Ahwatukee Animal Care Hospital and Pet Resort or any of its doctors or staff. This list is for the clients' information only and it is up to the clients to make the decisions on purchase. It is not our responsibility to fill out claim forms, receive direct payment from insurance companies, or directly communicate with companies as to our fees or services. 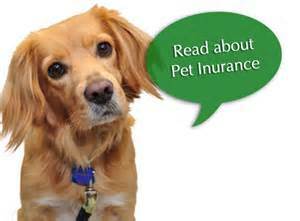 The pet owner is fully responsible for payment in full and all disputes of claims are between the policyholder and insurance company. If further written statements for treatment, diagnostics, or diagnoses are needed, there may be a charge for time and services. The AVMA endorses the concept of pet health insurance that provides coverage to help defray the cost of veterinary medical care. The AVMA recognizes that viable pet health insurance programs will be important to the future of the veterinary profession's ability to continue to provide high quality and up-to-date veterinary service. Require a veterinarian/client/patient relationship in which the veterinarian monitors health maintenance of the animal. Be acceptable to organized veterinary associations, individual veterinarians, insurance providers, the animal owning public, and others interested and involved in promoting the welfare and well being of animals. Have clearly specified protection for the animal owner. 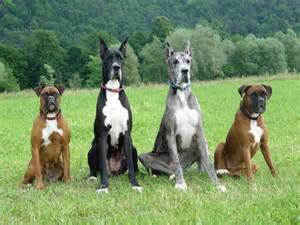 The animal insurance provider should disclose to the consumer the coverage provided which may be of most benefit in reducing the financial burdens resulting from medical problems requiring extensive veterinary medical care, as well as the option for coverage for routine and/or wellness health care. Allow animal owners the freedom to select a veterinarian of their choice, and allow for referrals. Meet the rules and regulations of the insurance commission of the state in which the insurance is sold, be readily available to the public, and provide coverage using ethical standards that are approved by the insurance industry. Be consistent with the Principles of Veterinary Medical Ethics. Allow each veterinary facility to establish its own fee structure. Reimburse the animal owner, in a timely manner, for fees previously paid to the veterinarian. Commit to assure that animal owners are aware of how the terms and conditions of their policy will impact coverage and reimbursement. This includes the type and amount of monetary coverage and concurrent financial obligations such as co-pay, deductible, and other risk-management charges (e.g. surcharges, exclusions) that are integral components of the insurance contract. For information about making your Ahwatukee Animal Care Hospital and Pet Resort Payment and/or Care Credit, please click on these links. If you require additional information or you have concerns.